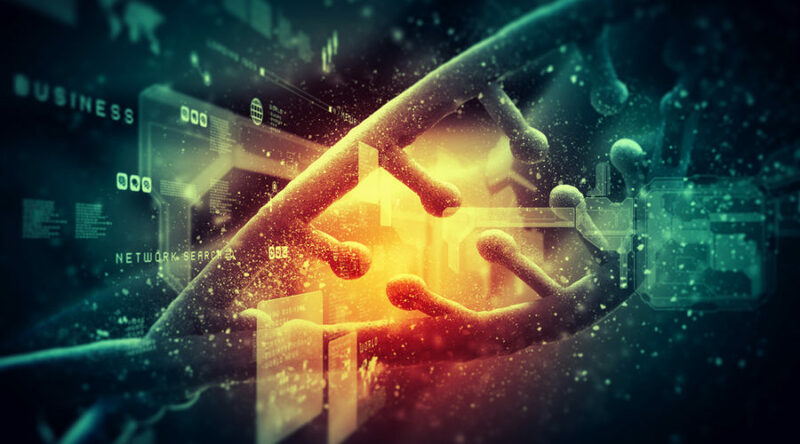 Gene expression occurs when the information contained in DNA is used to produce functional gene products such as proteins and other molecules. The process has two stages. In the first stage, called transcription, RNAP reads the information in a strand on DNA, which is then copied into a new molecule of messenger ribonucleic acid (mRNA). In the second stage, the molecule then moves on to be processed or translated. However, to help control gene expression levels, transcriptional pausing by RNAP can occur between the two stages, providing a kind of ‘roadblock’ where transcription may be terminated or modulated. The team’s analyses first revealed that the elemental pause process involves several biological players, which together create a barrier to prevent escape from paused states. The process also causes a modest conformational shift that makes RNAP ‘stumble’ in feeding DNA into its reaction centre, temporarily stopping it from making RNA. He adds that these insights could aid future efforts to design synthetic genes, for example to direct the pausing behaviour of RNAP in a way that yields desired outputs from genes. It could also help our understanding of how certain drugs, known as RNAP inhibitors, target the enzyme.